How much is your iPod worth? 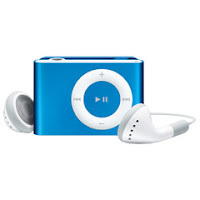 An article on MacRumors.com revealed that the new iPod shuffle contains about $22 worth of parts. Retailing currently at Best Buy for $54.99, that sounds like a great deal of mark-up to cover the cost of those fancy tv spots. What do you think... worth it or should they reduce the price?